The scale and variety of cyber-threats to manufacturers have grown considerably in recent years. They now range from rare but sophisticated Stuxnet-style attacks to more common ransomware risks. Cyber-attacks on manufacturers include efforts to corrupt data, steal intellectual property, sabotage equipment, and disable networks. Manufacturers must recognize these risks and prepare for them. The NAM is pleased to welcome industry and academia representatives from MForesight to brief NAM members on their latest report: Cybersecurity for Manufacturers: Securing the Digitized and Connected Factory. 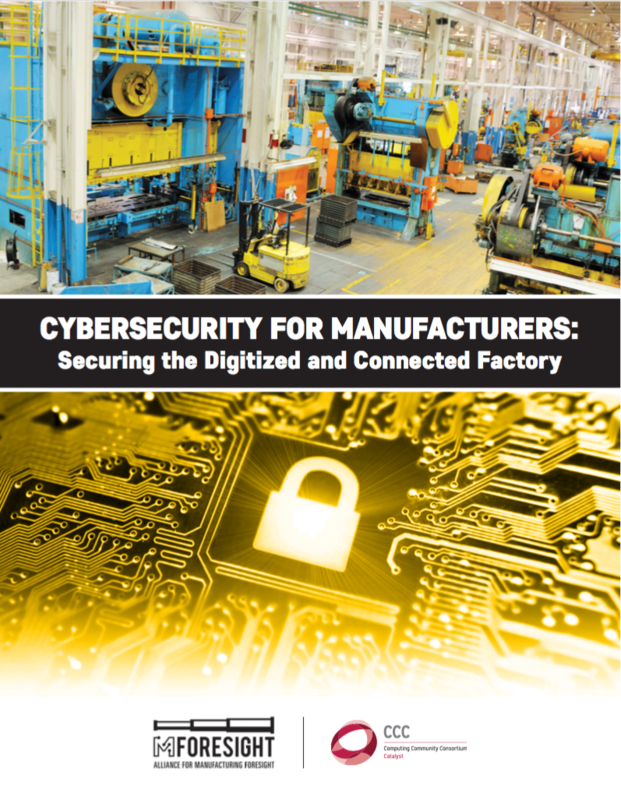 The report captures expertise and insights from manufacturers, government agencies, cybersecurity firms, and academic computer scientists and shines light on key cyber challenges facing manufacturers and how to take action to mitigate threats. Thank you to all who joined the NAM to hear MForesight’s overview of the cybersecurity challenges facing manufacturers and the key steps they recommend industry, government, and researchers can take to address them.